Sugarless aka “Shugaresu” is a 12-episode live-action school drama series directed by Takashi Kubota. It is written by Hiroyuki Yatsu and Kei Watanabe. The series, which came out from October until December 2012, is adapted from the Weekly Shonen Champion manga series of the same name which came out in 2010. 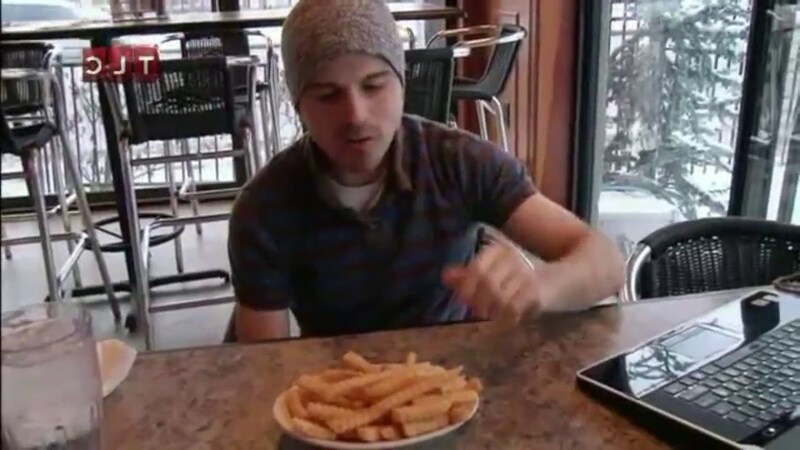 For twelve episodes, I found Sugarless to be entertaining. 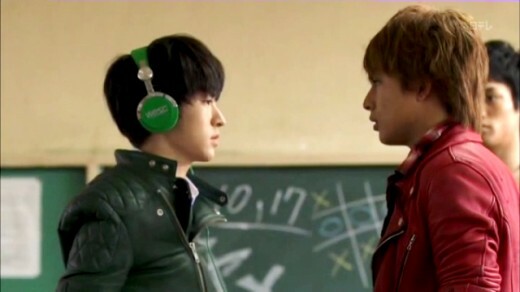 It doesn't come across as your typical Japanese high-school drama let alone those with a lot of fighting. When watching this movie, it made me think of the movie called Crows Zero which is one of the two movies that prelude the Crows manga. While there's a general plot for Sugarless, it's seemingly driven by the newcomer and transfer student Shiba Gaku who aims to fight his way to the top. While severely lacking in skill, fight experience, and overall fight conditioning, Shiba (portrayed by Aran Shirahama) proves to be the heart of the story. Without Shiba, the other characters probably would have never rediscovered their drive and passion for the fight and struggle. If you enjoy combat, this is a title to definitely check out. If you examine carefully, Sugarless presents plenty of interesting life lessons. But, don't let the gang life mentality in the series deceive you. 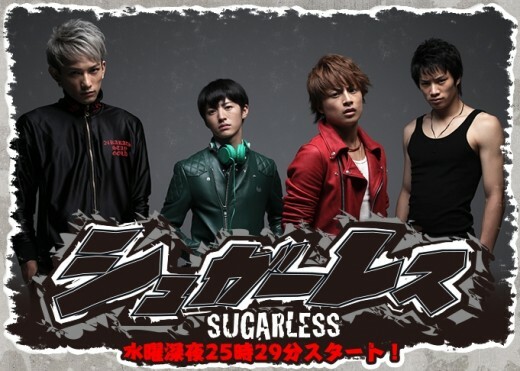 When I saw the start of Sugarless' first episode, I thought it was going to be like Crows Zero. With what Shiba did, by challenging the student body, I thought he would be like Genji Takiya (portrayed by Shun Oguri) from Crows Zero. However, I was proven to be dead wrong. It was a good thing I was dead wrong; that way, I found the story of Sugarless to be more enjoyable. Normally, I assumed that Shiba would effortlessly take down that large group of students. But, it turns out that Shiba assumes he's the best but fails miserable after slipping on an object and falling unconscious. In short, it turned out that Shiba lacks any fighting skill and is seemingly the weakest or second weakest of the entire student body of Kushima. As the series progresses, it starts to become character driven as there are episodes that focus on the other students: Marumo Taiji, Mukai Shiro, and Urabe Osamu. The four of them reluctantly band together, with Shiba proclaiming he will defeat all three of them, as they somewhat have each other's backs. Ultimately, it's Shiba's actions that drive the story even though he constantly gets the tar beaten out of him. In one episode, after getting the tar beat out of him, Shiba's assailant finally gets the feeling of being able to accomplish things with his own hands instead of depending on family privileges. As a result, the person ended up becoming a better person. While not saying anything, the person walked off with his friends vowing to accomplish things on his own steam. In another episode, Shiba inspires the head of the 2nd year students to stop idling about and openly challenge the 3rd year students. Since then, the 2nd year students are somewhat friends with Shiba and the other three students. There's also an episode in which Shiba inspired people from another school to stop idling around and planning. Inspired to take action against Kushima High School, the students from the rival school feel empowered and amped for the first time. While they beat the tar out of Shiba, they emotionally expressed their gratitude for his actions. 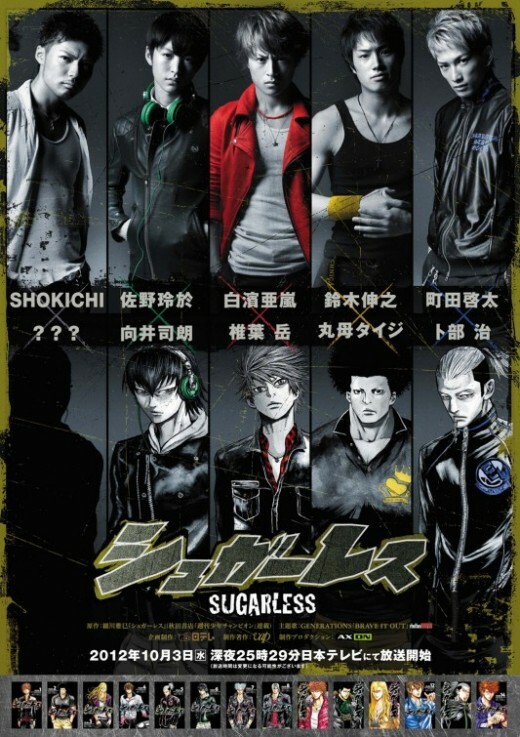 Sugarless reminds me a lot of Crows Zero; but, the series is its own story. There's a lot of humor and drama in the series. The story has you cheering for Shiba but at the same time thinking he needs to stop before he ends up in the infirmary. It's an interesting story in which the main hero is far weaker than his friends. Shiba represents being at the very bottom of the food chain. So far Sugarless is a pretty entertaining story. 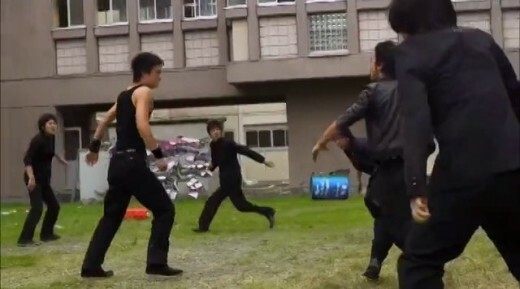 If you enjoy martial arts shows, Sugarless has plenty of fight scenes. Sugarless focuses on four 1st year students while everybody else serves as major to minor support characters. You have the following: Shiba, Marumo, Mukai, and Urabe. The four of them drive the story; but, Shiba is very important to drive the story. Without Shiba, Sugarless wouldn't make that much of an appealing story. He's pretty much the most crucial character to the story. Shiba – The way Shiba makes himself known ends up being the most comical means. Despite coming off as weak, he has a lot of heart. Showing that heart is perhaps the most important factor when driving Sugarless. Even though I did get somewhat bored of Shiba getting his lights knocked around on a constant basis, he's a fighter at heart which makes him endearing to viewers. Even though he hasn't really won a fight, Shiba keeps on going and going. He's the heart and the will of Sugarless. Shiba is the perfect example that fighting skills alone don't make the man. Despite the lack of fighting skills, Shiba has a lot of courage and determination. Marumo – Marumo is the powerhouse of the four main characters. He's the wrestler and brawler of the group. In the first episode, Marumo is reluctant about fighting. Then, he makes his presence known as being one of Kushima's strongest students when he protects Shiba from getting his skull bashed in with a baseball bat. So far, he come off as being the proverbial “second-in-command” of the series. It is revealed that Marumo is somewhat living in the shadow of his late-father a professional wrestler who got fatally injured on the job. Mukai – Mukai is the tactician of the group. Like Marumo, Mukai has a chip on his shoulder coming from a family of perfectionists. He's trying to prove himself to his father. Mukai, in fighting, comes off as the traditional martial artist and fighter. Urabe – Urabe is trying to rebuild his reputation. He is finding himself after being defeated by his gang. Through Shiba and Marumo, Urabe understands true friendship and how he shouldn't depend on numbers to help him. In Sugarless, Urabe is pretty much a student that seeks redemption. In combat, he utilizes a bunch of different kicking combinations. These are the four main characters. One driver of the story is Shiba's romantic interest in fellow student Haruka Suwa who doesn't seem to pay attention to him until the story progresses. 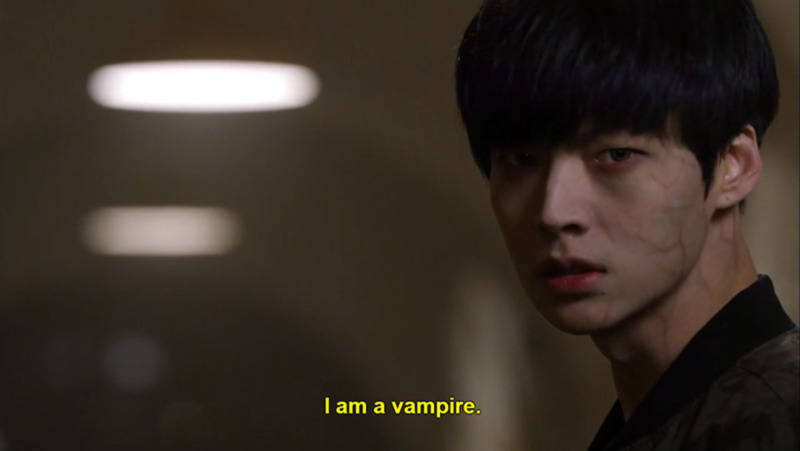 Then, you have an interesting cast of supporting characters. The series' soundtrack is performed by the Japanese rock band Pay Money To My Pain. The rock n' roll feel of the soundtrack was very appropriate when you had the fight scenes. Sugarless got me interested in looking for the actual musical score. Watching Sugarless got me interested in the metalcore band Pay Money To My Pain. My favorite track of the entire series happened to be “Paralyzed Ocean” which is performed by the band. It's something like "Paralyzed Ocean" that gets you energized about fighting. Sugarless was a pretty decent high school series I had come across. Japanese high school dramas always come a dime a dozen. There are those that stand out; many of such dramas are able to have their own original stories. 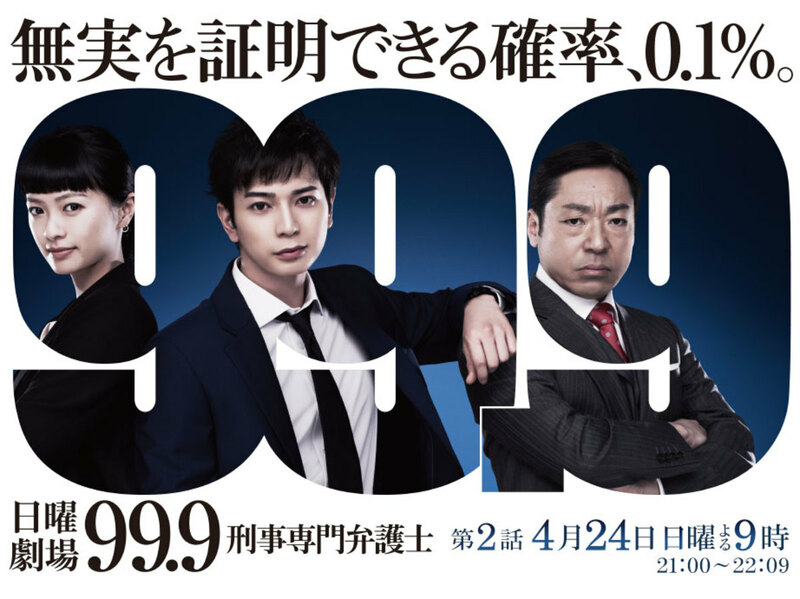 After watching a couple episodes of Sugarless, I became hooked on the series. It's a good series to watch; however, it's only 12 episodes long. If you're in the of something intense but not overly violent, Sugarless is a title to check out.